Catbells Cottage, formed from the old stables of the adjoining Keepers Cottage, has been lovingly restored into a four-bedroom cottage with spectacular views of the surrounding fells. 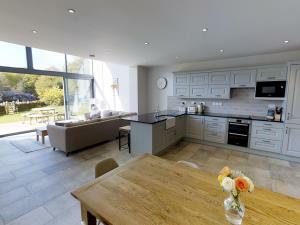 The cottage has a large open plan kitchen, dining and lounge area that boasts a wall to ceiling glass window with a sliding door which leads out to the private garden. A travel cot or Z bed (under 12's only) can be hired for £25 per stay. Well behaved dogs are charged at £25 per stay. Catbells offers weekly bookings starting on Friday and sometimes short breaks. 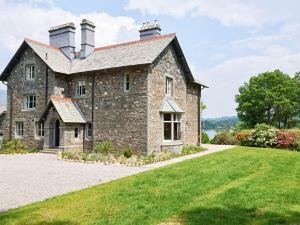 Rosetrees is a wonderful six bedroom, six bathroom traditional Lakeland stone house that has been recently refurbished whilst carefully retaining the incredibly well preserved period features of this lakeside house. There is a large private area with lawns and gardens leading down to the lake, there is also a well-positioned stone patio overlooking the lake, together with parking for up to four cars on the front driveway. 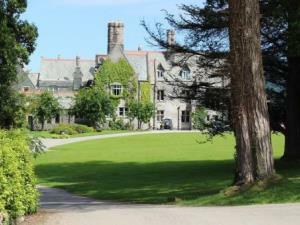 Rosetrees offers weekly bookings starting on Friday and sometimes short breaks.